Cut with a modern slim fit and comfortable mid rise our Bleecker Jeggings are made to flatter. lus they're crafted in Fluid denim that's super soft and stretchy so they feel good too. This pair features a versatile dark indigo wash with natural hand sanding and whisker patterns. Finished with an ultra-skinny leg and our signature stitching on the back pockets. Bleecker Jegging Dark Wash is rated 1.0 out of 5 by 1. 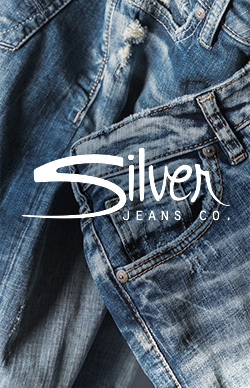 Rated 1 out of 5 by I like them from Runs small I love silvers but Bleeker style did not work for my body type and I bought them in same size I wear all other silvers in and they were overly small. I exchanged them for different silver jean all together.